Replacement lamps are available individually or as a SQ1000 (810510) Lamp Set, that includes one 350 watt QL350 (810923) and one 650 watt QL650 (810926) lamp. The optional BDAL (811940) Barn Door makes it easy to control the light. Without the wings, the BDAL is a Speed Ring Adapter that can be used with a variety of high-temperature softboxes. 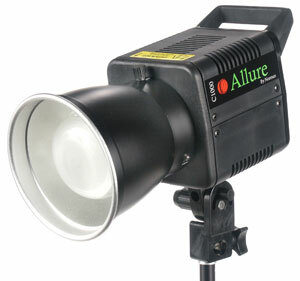 The HTSB24 (812192) 24x24 inch high temperature softbox is available for use exclusively with the C1000 Constant Light. This model is not compatible with the SRA series Speed Ring Adapters and must be purchased with the BDAL Barn Door/Speed Ring Adapter.